The Old has passed away, but alas, the New appears not in its stead; the Time is still in pangs of travail with the New. 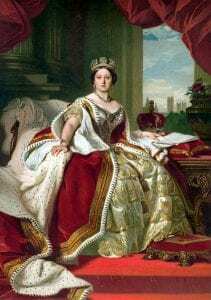 The Victorian Era, spanning the duration of Queen Victoria’s rule from 1837 – 1901, is characterized by the expanding horizons of education and literacy, as well as by an increased desire of the people to question religion and politics. During this time period, publications such as Marx and Engles’ Communist Manifesto in 1848 and Darwin’s Origin of the Species in 1859, served as catalysts for political and religious controversy. These new notions of government and science signaled a turn from the idealism of the Romantics to a more empirical worldview. The Victorian era also marks a time of great economic growth, technological discovery, and industrialization. Many writers reacted to both the wonders of this Industrial Revolution as well as to the troubles of an industrialized society. Also during the Victorian Era, the influence of literature became more prevalent in society as reading evolved into a social pastime indicated by the increasing literacy rate. At the era’s beginning in 1837, it is estimated that approximately half of the adult male population was literate to a certain degree. Because of the new practices, compulsory education and technological advances in printing resulting in widely available reading materials, standard literacy was more or less universal by the end of the century (Greenblatt 993). As reading became less of a privilege of the wealthy and more of a pastime of the common British citizen, publications such as periodicals flourished. These magazines provided monthly installments of news articles, satiric essays, poetry and fiction. These serial publications enabled many authors to easily share their work with the public and helped launch the careers of prominent Victorian writers such as Dickens, Eliot, Tennyson, and the Brownings (Norton). Because literature was an accessible and pervasive part of Victorian society, studying it is crucial in understanding the attitudes and concerns of the people who lived during this era. Much of the writing during this time was a reaction to the rapidly changing notions of science, morality, and society. Victorian writers also reacted to the writings of previous generations. George Landow argues that the Victorians wanted to escape what they saw as ‘the excessive subjectivity of the Romantics’ while at the same time keeping their “individuality, originality, intensity, and, above all, sincerity.” Thus Victorian literature tries to combine the use of Romantic subjectivity(~1798-1830) with the objectivity of the Augustans (~1660-1798). Landow argues that the birth of the dramatic monologue and autobiographical fiction were used to bring personal experiences to literature without the author seeming self-obsessed. The novel could be considered one facet of the Victorians’ literary exploration. It continued to develop and eventually became the prominent medium for written expression. In the framework of the novel, realism emerged as a notable literary characteristic of the period and showcased this combination of Romantic subjectivity and Augustan objectivity. In her work Adam Bede, George Eliot writes, “let us have men ready to give the loving pains of a life to the faithful representing of commonplace things.” As exemplified in this quotation, Eliot, and other realist writers like Dickens, held the belief that the purpose of literature should be to accurately mirror the world and portray realistic scenes with complex, life-like characters. This movement illustrates the return to Augustan objectivity through the use of empiricism and observation of the surrounding world. (Landow) Yet, the influence of the Romantic movement on Victorian writers is seen though the style in which they present these observations. While the novel was the dominant form of literature during the Victorian era, poets continued to experiment with style and methods of story-telling in their poems. Examples of this experimentation include long narrative poems (epic poems) and the dramatic monologue as seen primarily in the writing of Robert Browning. Alfred Lord Tennyson, England’s poet laureate for a majority of the Victorian age, exemplified poetry of this era with his use of the dramatic monologue, a more lyrical style and a poetic voice that can be described as “picturesque” due to his use of description and mood-creating imagery. Two other minor movements, the Pre-Raphaelites (1848-1860) and the Aestheticism and Decadence movement (1880-1900), developed in relation to one another during the Victorian era. The first developed when the Pre-Raphaelite Brotherhood wanted to create art for the modern age by practicing techniques of precision and simplicity in their written work. The movement of Aestheticism and Decadence began as a reaction to the Pre-Raphaelites. The members of this second movement believe, unlike the Pre-Raphaelites, that literature and poetry should be more reflective. This movement influenced poets such as Yeats and Hopkins. (Landow). 1837: Registration Act required that all births, deaths, and marriages be recorded, this allowed legislators to know the age of minors and restrict their working hours. 1871: The University Test Act abolished the law that all academics and students at Cambridge and Oxford Universities had to be practicing members of the Anglican church. This opened the universities to suitable people of all faith. 1876: Sandon’s Education Act created School Attendance Committees to encourage children to attend school and parents were made responsible for ensuring that their children received basic instruction. Click here for a more extensive timeline of the publications, discoveries and events of the Victorian era. Greenblatt, Stephen, ed. The Norton Anthology of English Literature. Volume 2, 8th ed. New York: Norton, 2006. Landow, George. “Victorianism as a Fusion of Neoclassical and Romantic Ideas and Attitudes.” The Victorian Web. http://www.victorianweb.org/ 25 February 2008.